According to research published on ‘builtwith’, it has been observed that Squarespace has the highest number of websites built amounting to a ballpark of about 10,000 websites. Along with this, Squarespace as a website builder has grabbed first place among the top website builders falling in the category of a million websites approximately. 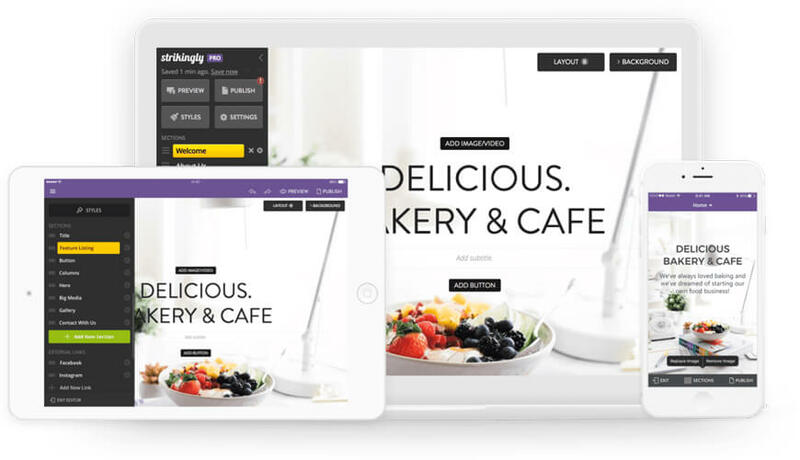 And the website builder with the lowest number of websites is Hibbert CMS which has only built 40 websites approximately thus making it the least preferred website builder for web design services. The same source also reads that the United States has the highest number of websites built over the entire internet and amounts to an approximate of 2 and a quarter million. These staggering numbers give us living proof of the growing escalation of the need for website builders stepping up this year. GoDaddy is the most preferred web Hosting Provider. It specializes in providing marketing domain names, rendering hosting services and site-building services. You can either build your own internet site. Or you can hire any specialist for it. This website provides approximately 3 plan levels. All of them are accessible for developing any internet site. You will get numerous themes to choose from. You also get access to designing possibilities. Some of the commonly used features are Social Media Integration, Pic presentations, video installs, etc. You will also get the option for subscribing and contact forms. Weebly is good for those who don’t have any technical knowledge. It gives results very fast. So, if you want to own an internet site very fast, this software is for you. It is an amazing site production option. Its drag and drop base is very friendly. Users love it. It is a free site builder. You don’t have to do coding. You can also do an advanced modification on your website. There are plenty of web templates available. 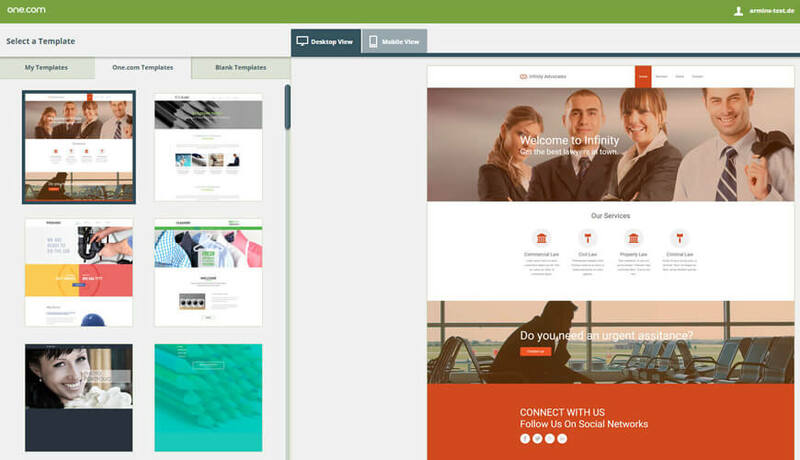 You can create your own service sites, portfolios, and blogs and events webpages. There are many more elements that make this software the best online web design tool. Wix cannot be compared to the other website builders. It provides more adjustability to its users. It has an astonishing modern website design. It strongly follows the concept of “absolute placement”. The user can easily drag and drop elements. The users are given a chance to make changes on any web page. You can either resize anything or format any element. Wix has many alternatives for you. When you use this software you get navigation opportunities, designs, galleries, and social media components. 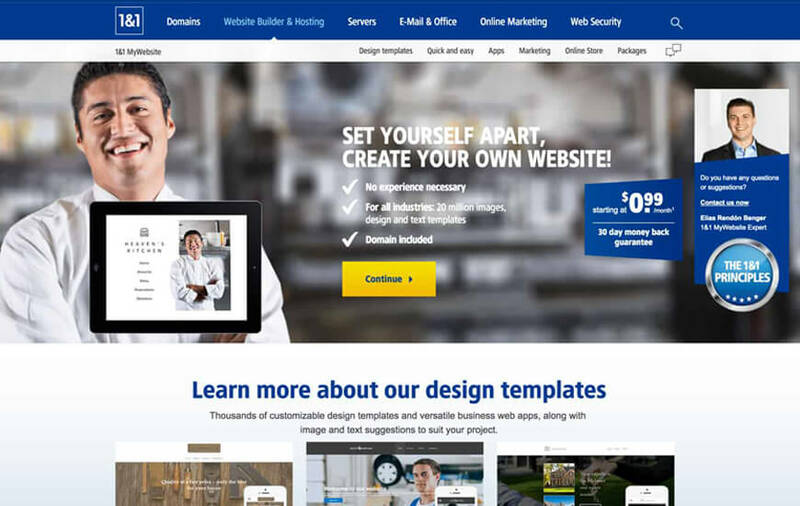 You will get many site design templates. 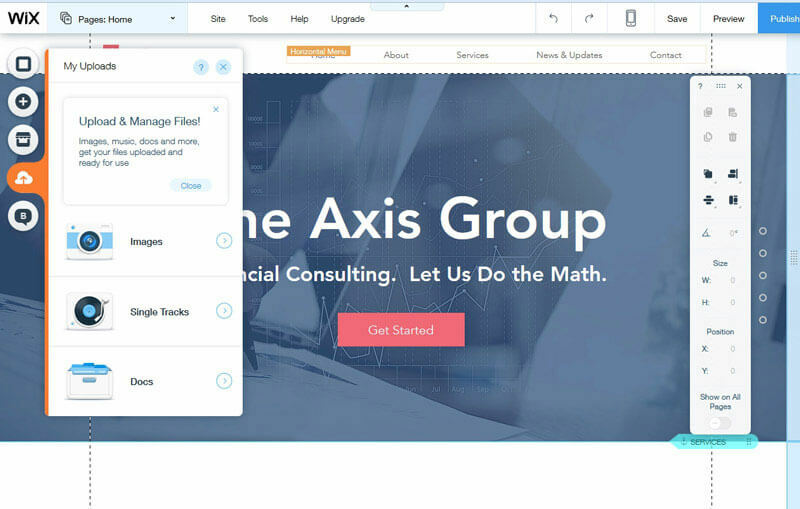 Use Wix to be able to build c sites, profiles, webpages, blogs, etc. Squarespace has successfully made its mark among the leading internet site builders. It has successfully sustained for more than 10 years approximately. It has many amazing website designs for users. The user gets many concepts and capabilities with this software. An individual who focuses only on design and style will love Squarespace. You have to get yourself registered first in order to use it. This software has its own website theme library. You will get brilliant texts, quotes, images, and videos. Squarespace never uses any code line. So, it will be easy for you to make the necessary changes to your website. 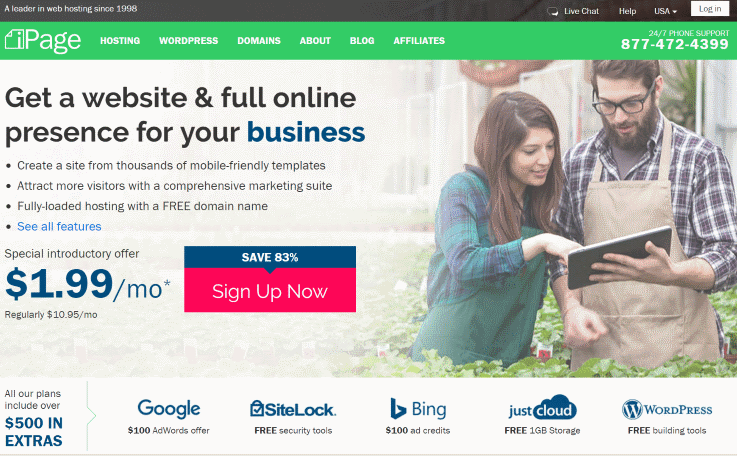 Jimdo is a Cost-free Site Builder. It was launched in Germany. It has led to the creation of more than 20 million internet sites approximately. Many times Jimdo has been named among the top 10 site developing tools. It is known to be well-conceived. It offers multiple helpful functions to its users. People use Jimdo to develop their own online stores or blogs. You should also use this software if you want to own any eCommerce website. Jimdo’s editor is known to be very simple and easy-to-use. It has many eCommerce and blog writing features. You will be recommended to use it. 1&1 is the most popularly used hosting system. It is known to provide many websites generating methods. It also offers domain names and hosting services to its users. .1 & 1 is known to be very easy software. It is one of the best cost-free internet site builders. Currently, more than 19 million people approximately, are using it. 1 & 1 has developed just as a business specific web site theme provider. It has a large variety of themes to offer. Yes, more than 130 themes are available at this software. But the only problem is that it is not available for free. The users have to pay something first. One.com is popular among users as a cost-effective website creating tool. It primarily focuses on web hosting platform. It is loved by users because it offers a free website builder. It allows its users to develop a website without even coding. So, all those who don’t know to code can also use it. One.com was established in Denmark. It was founded in 2002. Now more than an approximate of 1 million customers use it. One.com is a cost-effective tool not cost free. One has to pay first in order to use it. Basically, it has an approximate of 100 basic looking themes. You can use them initially. All of them are responsive and appealing. Drupal is popularly known as CMS. And its owners call it a community publishing system. It is because it is considered more as a social medium. Drupal successfully creates CMS, web blogs, eCommerce and forums. It also succeeds in making them the best conveniently used platform. It is very easy for a user to deal with this software. It offers many content elements to its users. Some of the popularly used elements are audios tracks, video clips, text messages, etc. You can create your own page. Beginners can develop a simple and basic website. And specialists and experts can develop sharp websites. It is open to all kind of people. uCoz was launched in Russia. It is also a brilliant cost-free site builder. It came into existence in 2005. It aims at providing web hosting and CMS services. It is known to be a suitable choice for those who don’t know to code. Yes, non-coders can use it with ease. So, if you lack coding practical experience, you don’t have to worry. You can use it. You will be provided with some website design specialists. They will help you in -modifying and graphics customization. 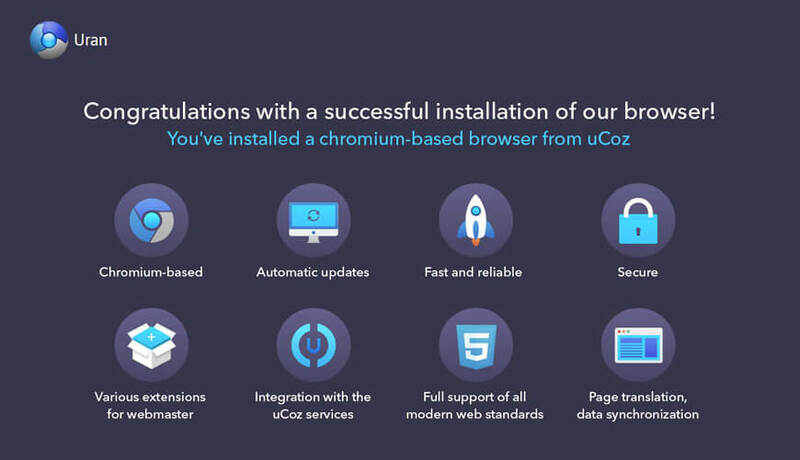 When you use uCoz, you get more than approximately 200 website themes. You will get a variety of widgets and gadgets. You can create your own customized themes. Webs have been providing website creation professional services since 2001. It is one of the prospering companies in the world. It has demand for site building options. It is very popular among users. Currently, more than 50 million customers use it. All of them are satisfied. You can also be one of them. It is generally used for commercial purposes. It is because it specializes in offering business-focused sites only. But with increased popularity, it is opening more options for its users. It has more than 450 website themes approximately to be offered. All of them are very responsive. You will benefit through its use. iPage aims at providing internet site creating services. It can be said to be cost effective. It provides services at affordable prices. It is known to provide good quality service. People use it for its amazing web design resources. It is very user-friendly. It was established in 2009. iPage is known to be straightforward. It has a drag and drops cost-free site constructor. So, all the freshers can also take its help. You have to get yourself first. Just create your iPage account. Then you have to select the drag and drop site editor. You will be provided useful, valuable and skilled guidance. So, don’t hesitate in using it. 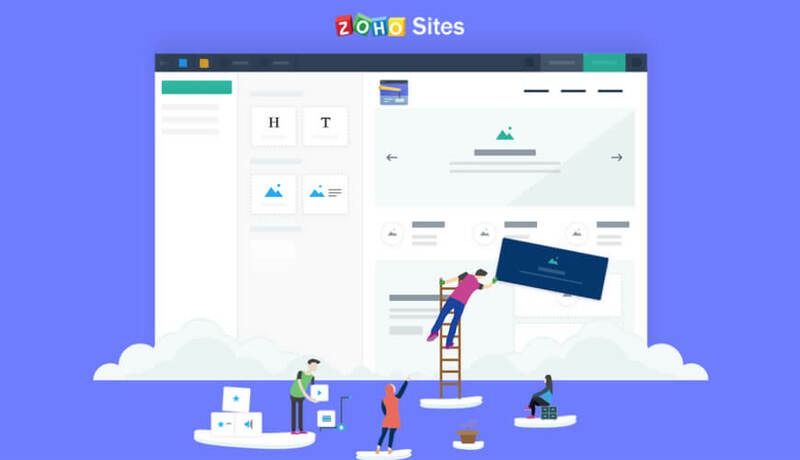 Zoho Sites are helpful for each and every person. It does not require any coding practical experience. It deals with easy websites and also very difficult websites. Users get the chance to build their websites for free. They can pay more if they want to get access to advanced components. It also has a drag and drops web site editor. You can insert the website element. You can also edit your website directly. It is very clear and user-friendly. People love them because of their rich form of the constructor. Users are provided more than 80 site design templates approximately. Strikingly Web site Developer aims to provide free online website builder to its users. It helps in developing one-page internet sites. It was founded in 2012. Since then it has helped many people. It is known to be the most reliable online site building platforms. Strikingly is loved by users who quest for the attractive special web site. Also, those who focus on solid website love this site. It is very simple and reasonable. Its website generation procedure is also very easy. It believes in quality, not quantity. So, there are only 19 gorgeous concepts available. But all of them are mesmerizing. They are best for commercial internet site classifications. Network Solutions aims at providing web hosting programs. It is popularly and commonly called free web designing software. You can use FTP, internet site web themes. You have to register yourself first. Then only you can get access to its built-in web site creator. People use it to engage their internet site. The users can easily provide YouTube video clips. They can edit messages. It also offers practical online site animations to its users. Many people believe that it develops lesser responsive sites. But it’s not true. It has a 24-HOUR email customer service for its users. So, users get assistance whenever they want. Mobirise is the offline block-based site. It is available for free. It also has an amazing drag and drop website design techniques. It is very easy to use Mobirise due to its simulation. Many people love it because of its free and responsive nature. It has an effective and strong framework. Customers are offered an approximate of more than 600 website themes. All of them are known to be designed in advance. So, it becomes to operate them. Every user loves it. Though it is not much popular among users, it is recommended by many experts. 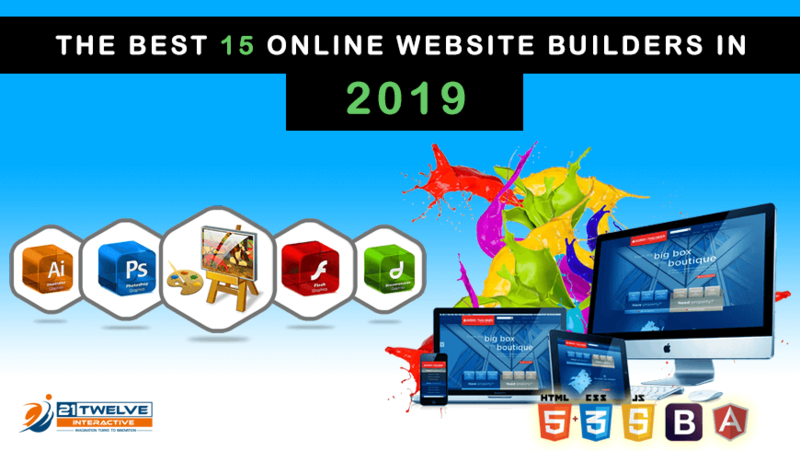 These are the top 15 website builders which lend their Web designing tools to build many robust websites which get registered on the Internet to help the business to increase their profitability. It is also one of the facts that the only price cannot be chosen as the barometer for choosing a web development software for the enterprise. The tools and features provided by website builders should also be considered while using them.